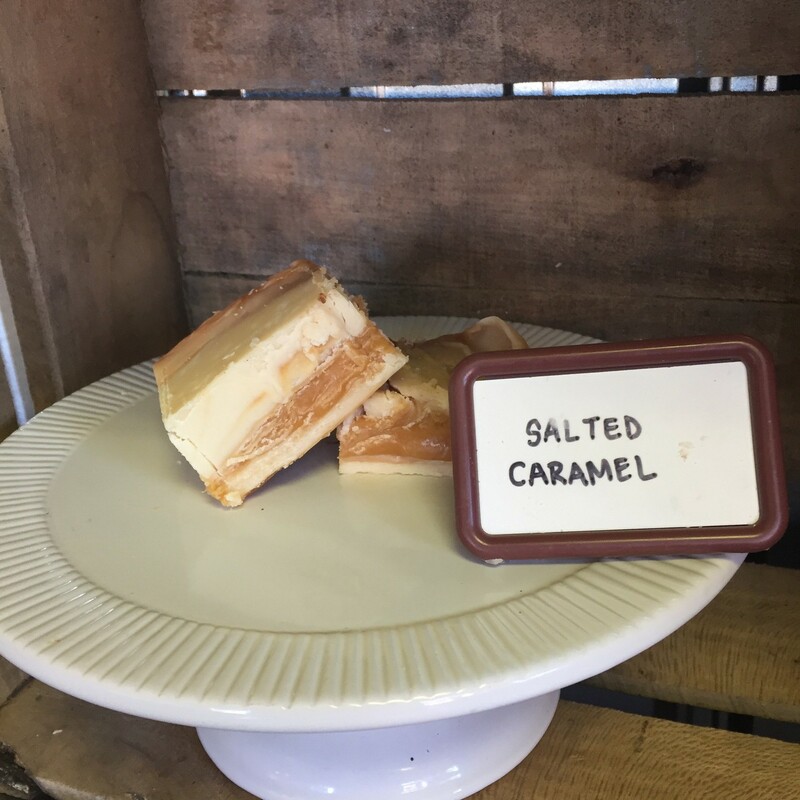 Vanilla fudge delicately blended with ribbons of salted caramel and topped with coarse sea salt. Piece is approximately 1/4lb. SUGAR, WATER, PALM KERNEL OIL, BUTTER (CREAM [MILK], SALT), CORN SYRUP, BROWN SUGAR, NONFAT DRY MILK SOLIDS, CREAM (MILK), SALT, POTASSIUM SORBATE (PRESERVATIVE).